Tenant retention remains a challenge for landlords finds Colliers’ inaugural Landlord Sentiment Survey in Singapore. Landlords should proactively engage occupiers and be more progressive with varied lease structures for tenant retention and attraction even as the office property market starts to turn in their favour, according to Colliers International’s first edition of its Landlord Sentiment Survey in Singapore, released today. 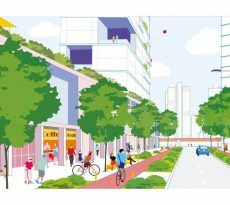 In a poll of landlords whose properties represent more than half of the Premium and Grade A stock in Singapore’s central business district (CBD), 75% of the respondents cite tenant retention as a challenge owing to more competitive pricing, changing economic factors, and new commercial developments. New developments also pose a challenge to landlords’ tenant retention plan particularly for older buildings. The new-builds that were completed in the last two years offer several key attributes – such as end-of-trip facilities, enhanced technology, more sustainability features and higher efficiency – that occupiers aspire to have in a building. Very often, the new developments provide a higher quality environment, more amenities, and better user experience which align with the occupiers’ increasing focus on wellness and talent recruitment strategies. 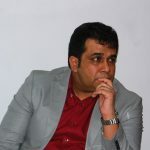 Flexible workplace: A competitive advantage? The flexible workspace sector, comprising both coworking space and serviced office operators, has seen tremendous growth in recent years. Including recent leases that have been signed, Colliers estimates that flexible workspace operators will take up a combined 2.7 million sq ft of space within the Singapore CBD – representing about 5% of the total office stock (all Grades) in the city centre. The data was consistent with Colliers’ survey findings. About 90% of the respondents have a flexible workspace provider within their building and believe they add value to their buildings’ tenants. 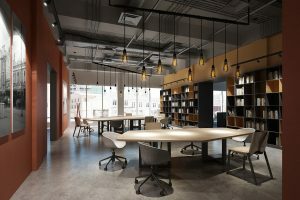 Of these, 25% of the respondents have both serviced office and coworking space in their property, while 40% have serviced office only, and 25% have just coworking space. Colliers projects that the flexible workspace footprint in Singapore could potentially rise by a further 20% (or about 580,000 square feet) year-on-year (YOY) in 2019, after growing by an estimated 30-35% YOY or 670,000 sq ft in 2018. However, due to the healthy demand for and tight supply of space, landlords can be more selective when choosing a flexible workspace operator to complement their development’s offering. The survey found that eight in 10 respondents are not in favour of offering exclusivity to a flexible workspace player, possibly reflecting landlords’ preference to keep options open – be it to bring in other operators or perhaps setting up their own flexible workspace offering. The Banking & Finance (80%) sector continues to be the key occupier segment for the respondents. This was followed by Technology, Media & Telecom (60%) and Professional Services (45%), according to Colliers’ survey where landlords were asked to pick their top three target tenant-mix sectors. Generally, a favourable tenant-mix will ideally have 70% of the space in a development leased to the top three growth sectors. The poll also revealed that 75% of the respondents’ buildings have less than 10% vacancy which is broadly in line with Colliers Research’s findings on tight vacancy rates across prime office buildings in the CBD. 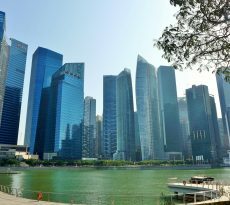 The office market in Singapore went from strength to strength in 2018 after having staged a recovery in the second half of 2017. Healthy occupier demand and tight supply of space helped to push average Grade A office rent up by 15% YOY to SGD9.43 per square foot per month in 2018. However, with a higher base for comparison and new office space outside the CBD, we expect rent growth in 2019 to slow to 8%. Colliers believes Grade A and Premium CBD office vacancy will continue to trend to below 6% until 2022. The top three micro-markets in the CBD that witnessed the strongest rental growth in 2018 were: Beach Road; Shenton Way/Tanjong Pagar; and Raffles Place/New Downtown. 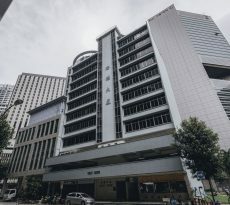 CBD Grade A office supply completion this year is likely to remain similar to 2018’s level at about 0.7 million sq ft. Office properties that are expected to be completed this year include: 18 Robinson, 9 Penang Road and Funan. Do you want the best commercial loans but are unsure if you can get one? Don’t worry because iCompareLoan mortgage brokers can set you up on a path that can get you a home loan in a quick and seamless manner. If you need commercial loans advice, we are here.